I wonder how many can relate to this, such a shame we are the only one's who stop ourselves. 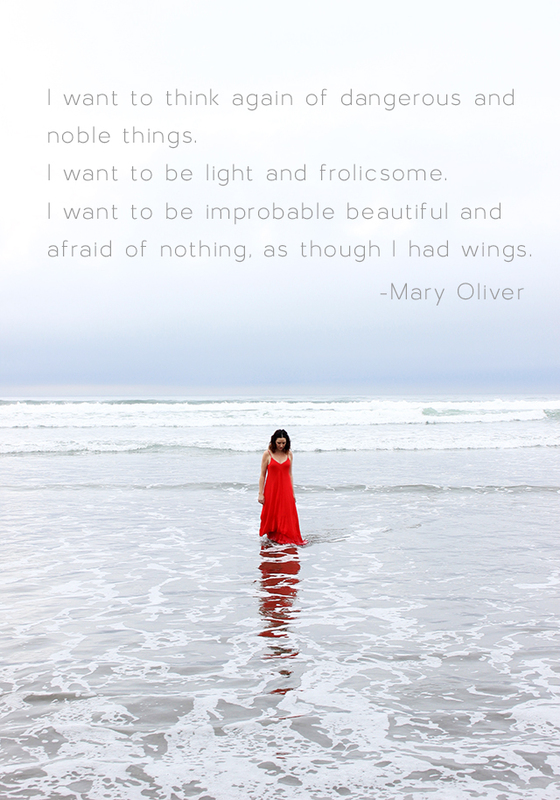 What an beautiful photo...the contrast of the red dress...and I love Mary Oliver! A lovely image and quote and thank you for showing me this poet. Ive not read poetry for such a long time, but Ive already ordered one of Mary Olivers books!